Void tells about an author who just can’t get started with his new novel. His girlfriend Pihla is an ambitious actress about to get her international break. Neither of the two is willing to sacrifice their career, even though their relationship is doing worse than ever. Birn and the male lead, Tommi Korpela, started thinking what to do. 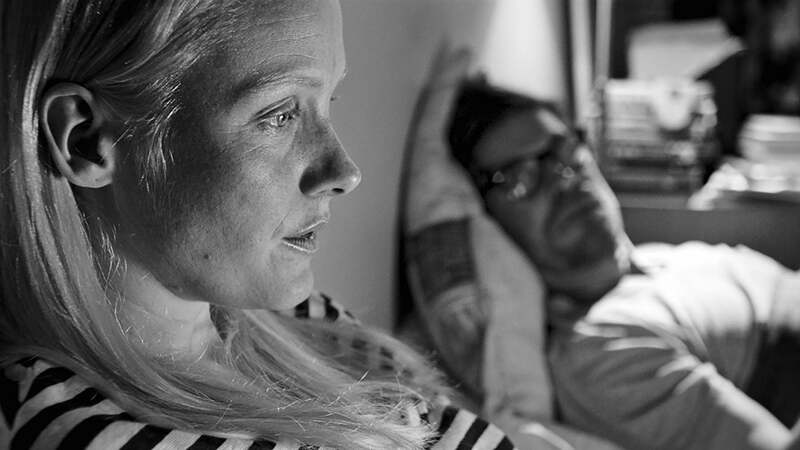 They teamed with director Aleksi Salmenperä and decided to start filmingVoid little by little. They let go of the original script and Aleksi wrote just three scenes for the new film. They tried out these scenes without knowing what was going to happen. The actors and others involved were curious to see if they could find another way of making movies. And that’s how Void started. After the first scenes, the actors continued working on it for four years. Everybody was filming other projects in the meantime – for money. They didn’t even try to get funding for this one. The team felt free and wanted to continue without the pressure of funding partners. Laura Birn remembers: “When we had time, we would gather and do some more scenes. We shot three days and then again three days a half year later. “Birn was shooting some scenes with her iPhone as did Tommi Korpela.” He was working in another film, which took place on a cargo ship. Korpela traveled for four months and shot videos there with his iPhone. The director used their real lives and made them part of the script. “It was kind of a funny mixture of ways of doing. However, most of the film was shot with real, good cameras,” Birn explains. When Korpela was shooting in the cargo ship, Laura Birn got pregnant in her real life. Screenwriter-director Salmenperä was excited about the news and just added it to the scenes. That affected the script a lot! “And my little baby got to be in the movie,” Birn smiles.